Paris (AFP) - Neurotoxic pesticides blamed for the world's bee collapse are also harming butterflies, worms, fish and birds, said a scientific review that called Tuesday for tighter regulation to curb their use. Analysing two decades of reports on the topic, an international panel of 29 scientists found there was "clear evidence of harm" from use of two pesticide types, neonicotinoids and fipronil. And the evidence was "sufficient to trigger regulatory action". "We are witnessing a threat to the productivity of our natural and farmed environment," said Jean-Marc Bonmatin of France's National Centre for Scientific Research, co-author of the report entitled the Worldwide Integrated Assessment. Far from protecting food production, these nerve-targeting insecticides known as neonics were "imperilling the pollinators, habitat engineers and natural pest controllers at the heart of a functioning ecosystem." The four-year assessment was carried out by The Task Force on Systemic Pesticides, which advises the International Union for Conservation of Nature, the world's watchdog on species loss. Neonics are widely used insecticides whose effects can be instant and lethal, or chronic. Exposure can impair smell and memory in some species, curb procreation, reduce foraging, cause flight difficulties and increase disease susceptibility. Used for insect pest management in farming, but also in pet flea control, they have been fingered in the recent decline in bees -- crucial pollinators of human food crops -- in Europe, the Americas and Asia. The latest study says these pesticides, absorbed by plants, are also harming other insect pollinators, fish and birds as they leach into soil and water. The most affected species were terrestrial invertebrates such as earthworms, which are crucial soil-enrichers, said a press statement. Bees and butterflies were next, followed by aquatic invertebrates like freshwater snails and water fleas, then birds, and finally fish, amphibians and certain microbes. "The combination of their widescale use and inherent properties, has resulted in widespread contamination of agricultural soils, freshwater resources, wetlands, non-target vegetation, estuarine and coastal marine systems," the authors wrote. "This means that many organisms inhabiting these habitats are being repeatedly and chronically exposed to effective concentrations of these insecticides." Neonics can persist in soil for more than 1,000 days, and in woody plants for over a year, and the compounds into which they break down can be more toxic than the original, active ingredients. The review, which its authors said will be published in the journal Environment Science and Pollution Research, looked at evidence of neonic damage gathered in 800 reports over the last two decades. 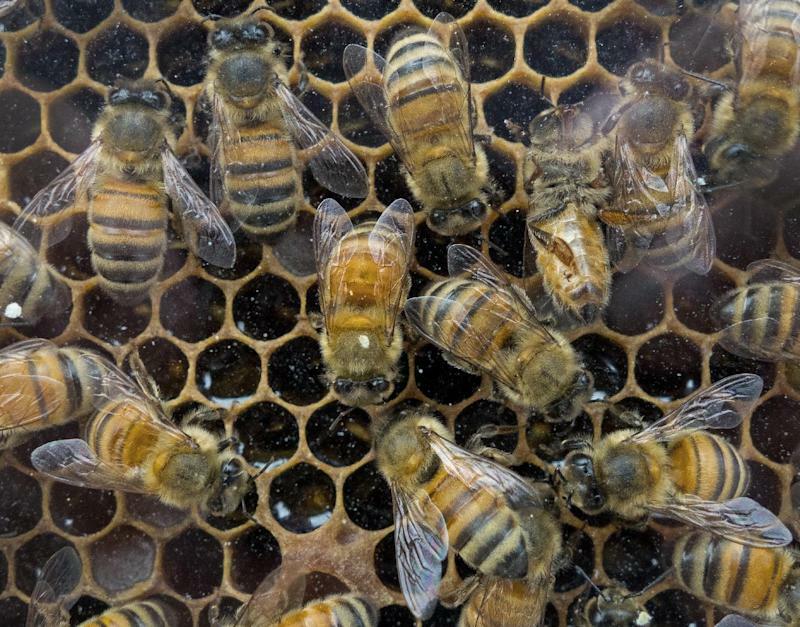 Last year, scientists said neonicotinoids and another pesticide group, organophosphates, can scramble the brain circuits of honeybees, affecting memory and navigation skills they need to find food, and placing entire hives under threat. The EU has since placed a temporary ban on some of these chemicals. Earlier this month, researchers said venom from one of the world's most poisonous creatures, the Australian funnel web spider, could help save the world's honeybees by providing a biopesticide that kills pests but spares the precious pollinators. The new study said neonics can be 5,000 to 10,000 times more toxic to bees than DDT, a pesticide that has been banned for agricultural use. The report said there was not enough data to determine whether there was an impact on mammals and reptiles, "but in the case of the latter, the researchers concluded that it was probable". The authors suggested that regulatory agencies consider "to further tighten regulations on neonicotinoids and fipronil, and consider formulating plans for a substantial reduction of the global scale of use." Together, the two classes are the most widely used insecticides with a global market share of about 40 percent, said the authors, and global sales of more than $2.63 billion (1.9 billion euros) in 2011.